❤ Why SmartElite VR headphone? 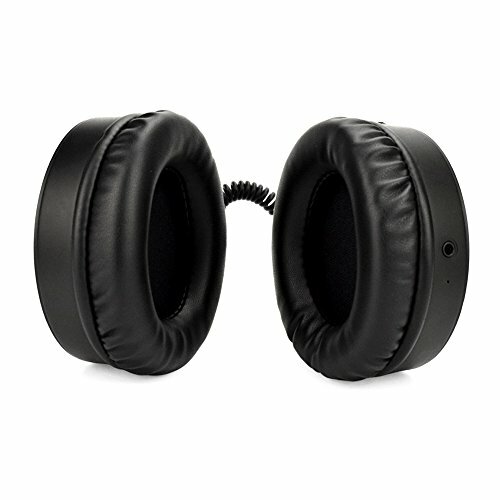 * Soft and breathable leather pad keeps your ears comfortable even after hours wearing. * Add audio experience to traditional VR glasses for 3D video, games and movies. * Carry with it anywhere & anytime owing to its super light design, only 136g. being excited to experience Comfortable & Natural VR!! ★ Immersive Experience: It immerses yourself in a new world via games, video and movies with its excellent audio performance. The immersive audio package and earphone integration will provide totally convincing virtual reality and the flawless sense of hearing. ★ Wider Adapters: Our product is applicable to 99% VR glasses and all-in-one VR devices in the market. With its perfect compatibility, it's suitable for iPhone, Android phone, Windows phone and Other smartphone devices. ★ Comfortable wearing: You'll have a comfortable and quality experience with our padded earmuffs, protecting our ears from strain and pain for long time wearing. You won't even know you're wearing headphone with our soft and breathable leather pad. ★ Good Sound Effect: The frequency response is 20Hz-20KHz, the perfect range for human hearing. With our VR headphones, you will be personally in the virtual world and enjoy the scene with its stunning audio performance. ★ Intelligent Noise Reduction: It intelligently reduces the background noises effectively and can improve transmission performance of audio frequency.